We love having you at our community of apartments on South Congress, but we also understand that everyone needs to get out of town every once in awhile. That’s especially true around the holidays, when people have plenty of extra PTO to use up. If you’re finalizing plans to travel during the next couple weeks, this blog is a must read. In it, we’ll be talking about some of the coolest travel apps of 2018. 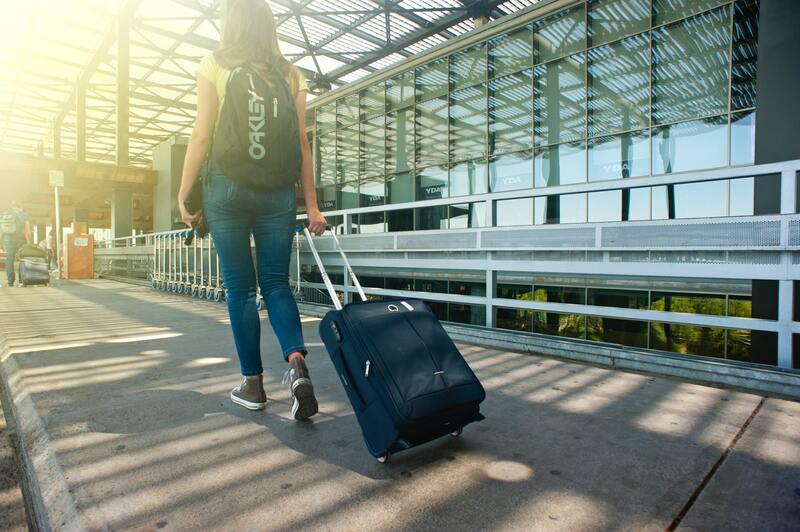 These apps will help you have cooler experiences, navigate airports with ease, and even pack for your upcoming vacation. You don’t want to be on your phone the whole time you’re on vacation, but you also don’t want to be in a situation where you wished you’d downloaded that awesome travel app before you lost service. Without further delay, let’s dive right into this week’s blog post. Oh, and when you’re done reading through the post below, please feel free to share the link to this page with your friends and neighbors at The Muse at SoCo — the apartments on South Congress Austin residents choose for contemporary comfort and style. The first app on our list is perfect for people who want to experience the local side of whatever city they’re visiting. Cool Cousin gathers recommendations from cool locals who know the non-touristy side of town. You, as a user, can then go in and get local recommendations from people who actually know what they’re doing. Everyone wishes they had a cool cousin, and this app can make that wish a reality. The next app on our list is really more about peace of mind than anything else. Packing is often the least enjoyable part of any vacation, but this app makes it a little less stressful. You tell PackPoint where you’re going, what you’re doing and how long you’ll be there. The app will then tell you everything that you should pack. The last app on our list is perfect for anyone who is facing the prospect of a layover on their flight. Dealing with a layover is all about just getting through it, and one of the best ways to get through it is by eating. Unfortunately, a lot of airport food spots force people to deal with long lines. You won’t have to deal with those lines if you use Grab — a mobile ordering app for airports. Those are all the travel apps we’ve got for you this week, residents, but we’ll be back in a couple weeks with another brand new blog post for y’all! Be sure to check back in a couple weeks to read the next post when it goes live. In the time between now and then, we hope you’re able to download some of these travel apps and put them to good use on your next vacation. We’ll have another brand new blog for our residents on the website on a couple of weeks! If you enjoyed reading through this week’s blog and you want to see the next one right when it goes live on our website, we encourage you to bookmark our blog page. That way, you’ll always be able to enjoy easy access to future posts when they go up live on our website. While you wait for those future posts to go live, you can stay up to date with everything happening at Muse at SoCo by following our community of apartments on social media! There’s no better way to ensure you’re always in the know when it comes to upcoming resident events, special promotions and cool giveaways going on at The Muse — the South Congress apartments Austin residents choose for contemporary comfort in the heart of the city.